If you’re looking for some adventure with the bonus of stunning scenery then New Zealand (NZ) is the place for you. We are blessed with beautiful beaches, mountains, fjords, lakes, and more stunningly diverse landscapes than most, and with lots of adventure opportunities NZ is the travellers ultimate destination. 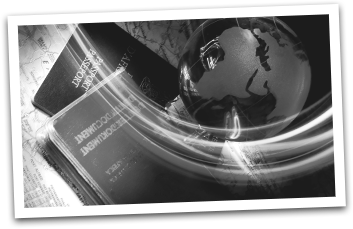 If you’re trying to make a plan of where to visit on your next trip you will find that your are spoiled for choice! Rather than pick our top locations, we have decided to give a little more detail on some of our favourites. 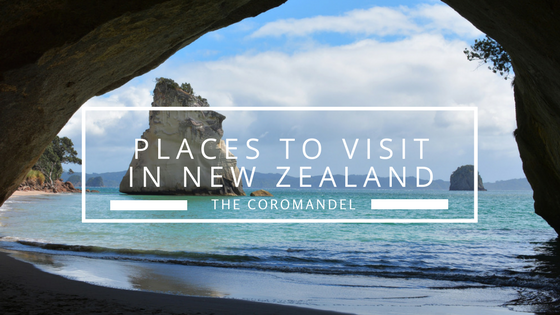 To start the series, here are our recommendations for visiting the Coromandel. The Coromandel is a 2 hour drive from Auckland and Hamilton Cities and has become a favourite playground for many NZ holiday makers. Think long stretches of golden sand, clear blue water (with waves and without), mountains covered in native bush, laid-back locals, and world-famous Cathedral Cove and Whangamata Surf beach. The Coromandel offers the perfect mix of relaxation and things to see and do. We recommend a week in the Coromandel if you have the time. This gives you time to make your way up the stunning Thames Coast road, which takes you along the coastline with stunning scenery. You can then visit Coromandel town, one of NZ’s oldest towns with a strong gold-mining history. While there take a visit to the Driving Creek Railway, a scenic train ride that meanders up a mountain trail lined with colourful pottery. At the top you can truly appreciate the views of the Hauraki Gulf and its Islands. From Coromandel town make your way over to Whangapoua, from here you can walk to the infamous New Chums beach. Voted one of the top 20 beaches in the world, this stunning, remote beach is one of the last undeveloped beaches in the area, and locals hope to keep it that way. From here make your way to Whitianga, taking time to stop at Matarangi with its 2km stretch of white sand, and Kuaotunu where you can have pizza at the famous ‘Luke’s Kitchen’ followed by a giant ice-cream from the local shop. In Whitianga soak away your aches & pains while enjoying a cocktail in the natural heated mineral waters at The Lost Spring Geothermal Spa. Surrounded by tropical plants and soothing waterfalls, the thermal waters flow from a spring deep within the earth. Whitianga is close to our next favourite spot Hahei and Cathedral Cove. You can either drive to Hahei and walk to Cathedral Cove from one of the designated carparks, kayak, or catch a boat from Whitianga or Hahei. Either way, you won’t be disappointed! Here a gigantic arched cavern passes through a white rock headland to join two secluded coves. The cathedral-like arch is one of the most photographed places in New Zealand. The golden sandy beach is lined with naturally shading pohutukawa trees along the foreshore - a perfect place for a picnic and a swim. Your next stop should be Hot Water Beach. Here it is possible to dig your own hot pool in the sand, thanks to a natural hot spring that runs beneath the beach, bubbling up in the form of naturally heated water. Or if you're a keen surfer then hit the waves, this is one of the better surfing beaches on the Peninsula. As you continue south there are many more stunning white sand beaches to visit, with Whangamata the last of our Coromandel Must Sees! Recently voted NZ’s favourite beach, Whangamata has a world famous surf break, 4km of white sand beach and is like a mini Hawaii. This is a great place to play and relax. And if you’re into classic cars then visit on their famous beach Hop weekend where thousands of people come to celebrate rock and roll, hot rods, classic cars and motorcycles.